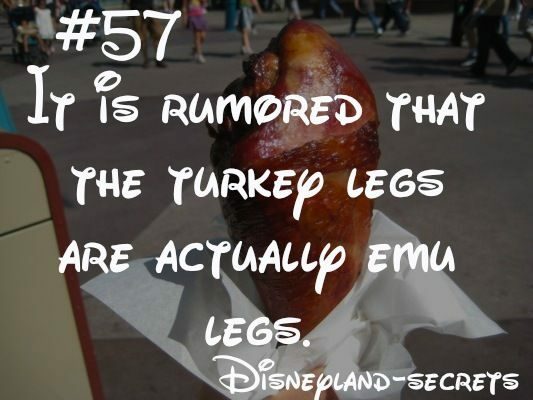 FACT CHECK: Are Disney's Turkey Legs Really Emu? Long-standing rumors that turkey legs sold in Disney parks are actually emu legs spiked after a 'Conan' TV segment. Turkey legs sold in Disney's theme are actually emu legs. “The turkey legs at Disneyland, I’ve come to find out, are not actually turkey. They’re emu legs. Shocker right? No I swear. A emu leg is eight times larger than a turkey leg, said Tim Williams of Gatorland, which had emu at its attraction. “If you’re going to walk around with an emu leg in a theme park and chew on it, you’d have to get a cart with wheels to push that thing around. They’re huge,” Williams said. But why are they so dang big then? The size can be attributed to a worldwide increase in turkey demand, said Disney’s Robert Adams, who five years ago was executive chef at Magic Kingdom. Consumers mostly want white breast meat, so growers are raising bigger turkeys, he said. Emu meat is also costly for consumers, who generally buy the products online or at local stores. A pound of emu costs anywhere from $25 to $30, whereas even the most expensive cut of beef costs an average of $8 a pound. When emu came onto the scene, there were too many birds and not enough buyers willing to pay such high prices. By contrast, an annual Thanksgiving cost breakdown puts the price of turkey at under $1.50 per pound, making emu meat 16 to 20 times more expensive (and as such, far too expensive to sell as a realistic turkey substitute). 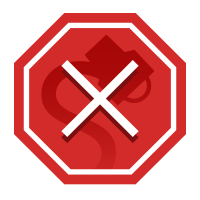 Finally, the sale of emu meat falsely identified as turkey at Disney theme parks would fall afoul of the Federal Meat Inspection Act, which prohibits the sale of mislabeled meat. The New York Times. 27 December 2013. Orlando Sentinel. 10 March 2017. National Geographic: The Plate. 30 December 2015.